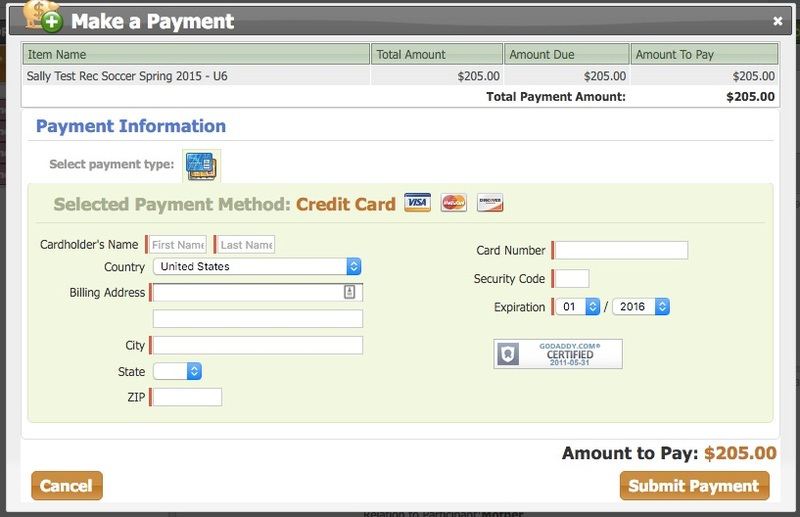 Do you feel comfortable advising Household Administrators on how to make a credit card payment on an order? Before your registration begins, familiarize yourself with the process below and you'll be set to answer any questions that come your way. Step 1: They should login via your club's RosterPro site and select the My Profile Information accordion. Switch into the My Household Information tab. If the Household Admin has logged in via your site's URL to make the payment, they can click on the "View Registration Order History" link to be redirected to their Order History. If they have registered in multiple organizations and want to see a full Order History across all clubs, then they should click the blue Manage My Household Info button to transfer to the TeamNet system. The login link is the SAME link Site Administrators will use to login to their dashboard. It will follow this general format: https://yourdomain.com/_login. It is very important that your members use the /_login link and NOT the /_registration link as the registration link is only for processing NEW registrations. Step 2: Advise them to choose from the list of orders in the Orders By Date sidebar. Once the correct order is selected, click the green Pay with CC button (top right). Step 3: Add in credit card information. When dealing with installments, select Update Info for remaining Order Installments to retain your card’s information, or Apply Info only to THIS Payment to allow for a different card to make a payment in the future. You always have the option of updating your credit card information in the future as well. Have an additional question about making a payment? Reach out to Demosphere Support!